Fife Falcons – MML Blitz! The Fife Falcons are a professional Blood Bowl team that hails the ancient and historic Kingdom of Fife, as their home. It a cold and barren wasteland with little to do, bust engage in the rough and tumble of sporting endeavour. The people are cold like the climate, but sometimes beneath their icey exterior can be found the beating of warm hearts. 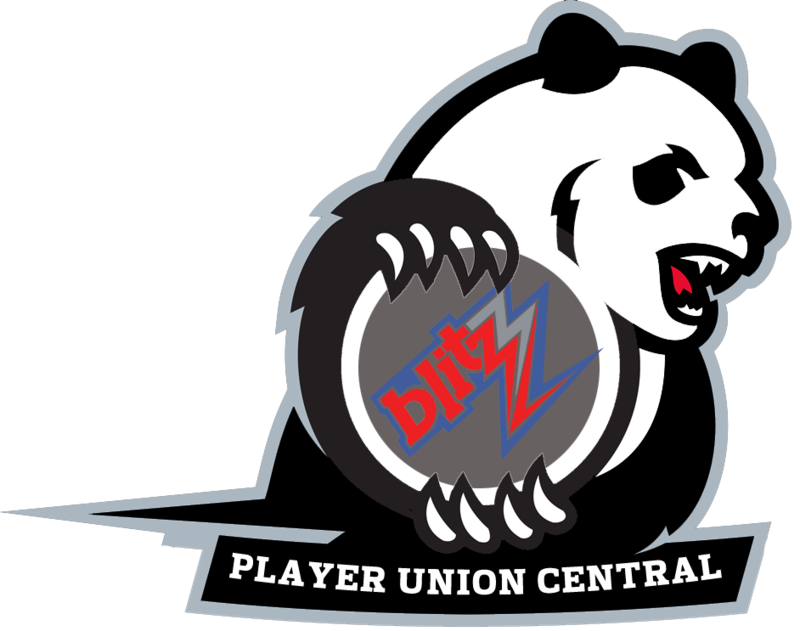 The Falcons first appeared in the northern division of the MML Blue Blitz! Tournament in 2018. There is one shining emerald within the Kingdom of Fife and that is the East Neuk, where the Falcons play their home games. The East Neuk is a hidden treasure, hugging onto the North-Easterly coastline of the Kingdom, where there is said to be great riches, the beaches shine golden in the sun and where the snow, so prevalent in the rest of the kingdom, rarely lands. But the rain! By all of the Gods, the rain when it falls, never seems to end! The Fife Falcons are owned and sponsored by the mysterious King of Fife, whose agenda remains well hidden. Some say he is a usurper with no right to call himself king at all, some claim he is the most benevolent lord that you could ever hope to meet and yet others herald him as a vile Tyrant bent on the conquest of the world! Blood Bowl or forerunners of the great game have had a place in the Kingdom of Fife for as long as anyone can remember. There are rumours of teams of hairy men kicking pigs bladders around, (which are still ceremonially used as Blood Bowl balls within the kingdom to this day,) as far back as there are stories of the establishment of the first great parliament of Fife, which was summoned by the king in a time of crisis, some centuries ago. The summoning of this parliament paved the way for the ‘modern’ Kingdom. Before this time the Kingdom was notorious for being a pariah domain, which reaved, raided and preyed upon their neighbours. Following the successful establishment of laws, and taxation the peoples of Fife were able to pursue all manner of sporting endeavours. It is believed that ’18 hole club ball’ originated in the Kingdom, which still supplies the Kingdom with significant revenue earned from operating the highest governing body for the sport and attracting the elite to play in one of the East Neuk’s four great 18 hole club ball resorts. ‘Ice Shuffle Puck’ was a more popular Fife sport, as well, which has traditionally left Blood Bowl being a poor relation, in recent times, but not without it’s own following. With the inaugural season of MML Blitz! The king issued a royal decree to create and establish a Blood Bowl team worthy to represent the Kingdom to the outer world. Thus the Fife Falcons were born! A coach calling himself ‘Josiah Frost’ was also selected by further royal edict to lead the Falcons in their first season. There seemed to be some disquiet from the usually inward looking Fifers, as he is not a native of their homeland. The ice falcons of Fife are one of a few protected species, within the kingdom. They appear on the heraldry of the king and he keeps his own large falconry of the magnificent birds. In the frozen wastes of the kingdom ice falcons are able to hunt down and capture prey, where it would otherwise be impossible to survive. Legend holds that early settlers brought the ice falcons with them and without their ability to provide for their masters the kingdom would never have been established. The team’s primary logo is, indeed, the head of an ice falcon; as depicted on the heraldry of the King. The team’s colour is golden, which symbolises the wealth which the kingdom now enjoys. It would be too obvious for the team mascot to be anything Falcon related and to mock the elegant bird may well be a crime within Fife and so the Falcons has as their mascot a ‘frost rat,’ which is one of the usual prey for the falcons, in Fife. A young chap dons the costume of an ice rat at each of the Falcons’ games and is known to the crowd as ‘Mr Smuggles.’ It is said that to stroke his whiskers will bring great fortune before each game. Getting the players to abide by this ‘tradition’ can be problematic. The number that lies between 12 and 14 is set aside for the fans of the Falcons. It is considered unlucky to use that number. It would normally be the number 12 which would be set aside for the honour of the fans in most sporting teams, but the fact that this number has been set aside instead is to encourage fans to more vigorous rubbing of Mr Smuggles whiskers prior to each match, for luck.